I drew this for the Illustration Friday topic, ahead. 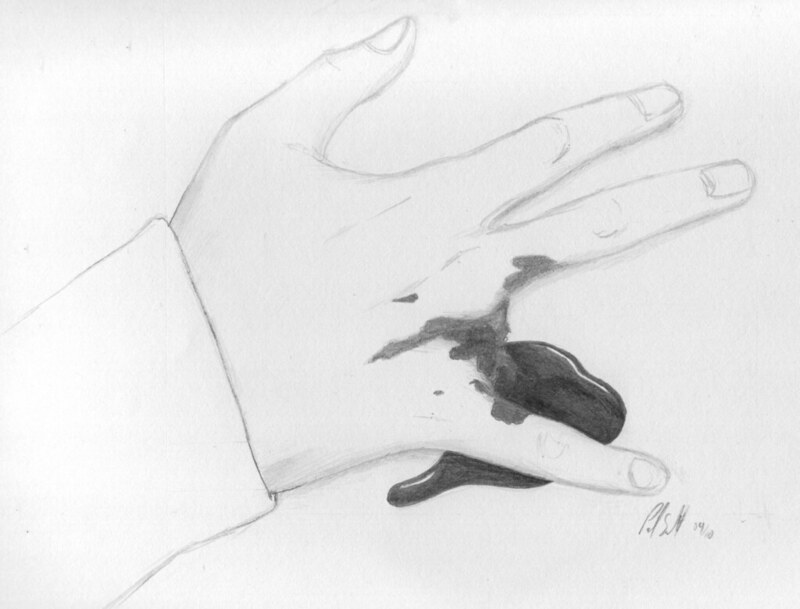 This illustration is based off some lyrics of some Nine Inch Nails songs, "Ringfinger" and "Twist". "Twist" was the early version of "Ringfinger" so they do have some similar lyrics. I thought of ahead while listening to the song "Twist", where it says "go ahead and cut me". This lead to me listening to "Ringfinger" and coming up with this illustration. Both songs contain the lyric "working my hands until they bleed", while "Ringfinger" contains the lyrics "ringfinger"and "sever flesh and bone". I think with these select portions of the songs you can see how I came up with this illustration. Hit the read more link to hear the song inspiration.